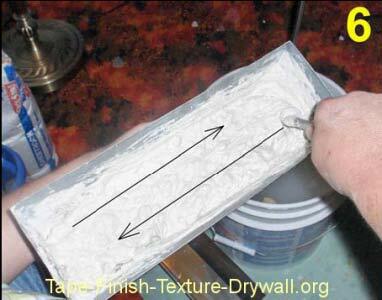 The following DIY drywall finishing tips make all the difference if youve never worked with these materials before. 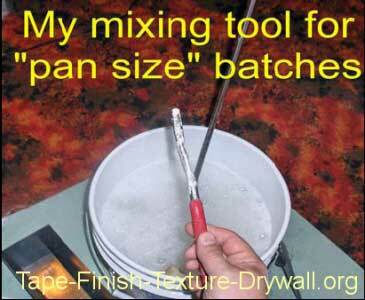 There are no fancy tools or gadgets required for pan-size batches, and if youre working with 20-minute setting-type compound, you should never mix more than a pan full at a time anyways. Setting-type compound tends to go through a rapid change in consistency approximately 60 seconds after it has made contact with water. In other words, the compound reaches the soak point. Certain brands will suddenly become shiny and instantly too thin. Some pros call this break-down. 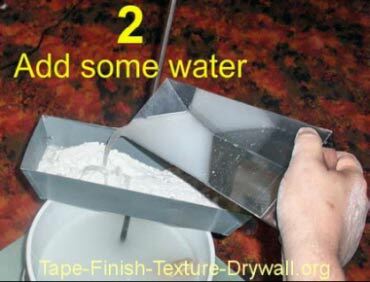 For patch-work, or a single tub/shower installation, you can mix small batches in your pan by starting with powder, then adding water. This is the only way that Ill mix the 20-min. formula. 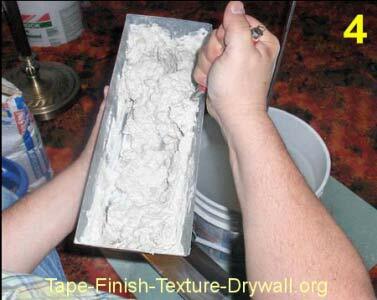 DIY Drywall Finishing Tip #1: Whatever you do, DONT try to mix a large batch of 20. Even a half-bucket is way too much! Keep in mind that were not trying to mix a perfectly smooth batch here. Its OK if its a little lumpy. 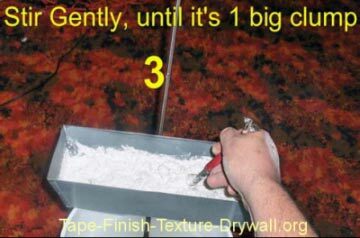 DIY Drywall Finishing Tip #2: Ive used the same tool for mixing small batches for decades (½ of a pair of snap-ring pliers). Anything that resembles a stick will work! A TABLESPOON HANDLE WORKS GREAT. Use a large serving spoon or a scoop to fill your pan with the powder. Handle it carefully, or it becomes air-borne and ends-up in your nose or lungs. 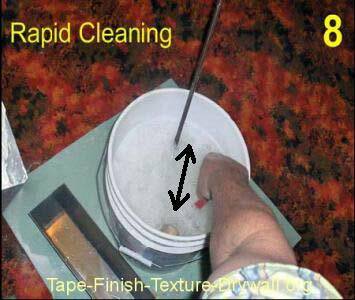 Now that most of the water is gently stirred in, you can pick up the pan without dropping it everywhere. 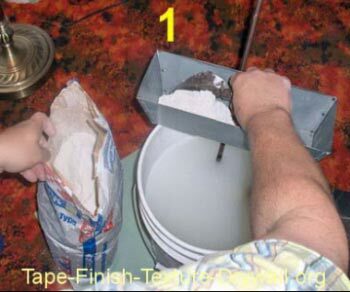 Gripping the tool as shown below enables you to mix with more power, without throwing the material out of the pan. 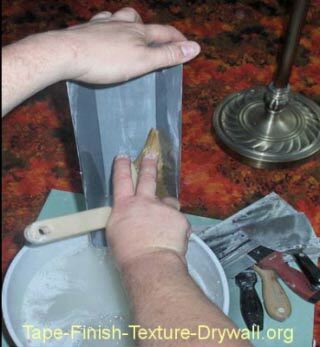 Use your blade to loosen any unmixed material from the sides and bottom. Then, re-mix in the high-speed mode. 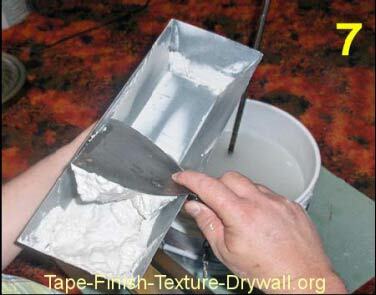 When using setting-type compounds, ALWAYS wash all blades and the pan before starting a new batch. 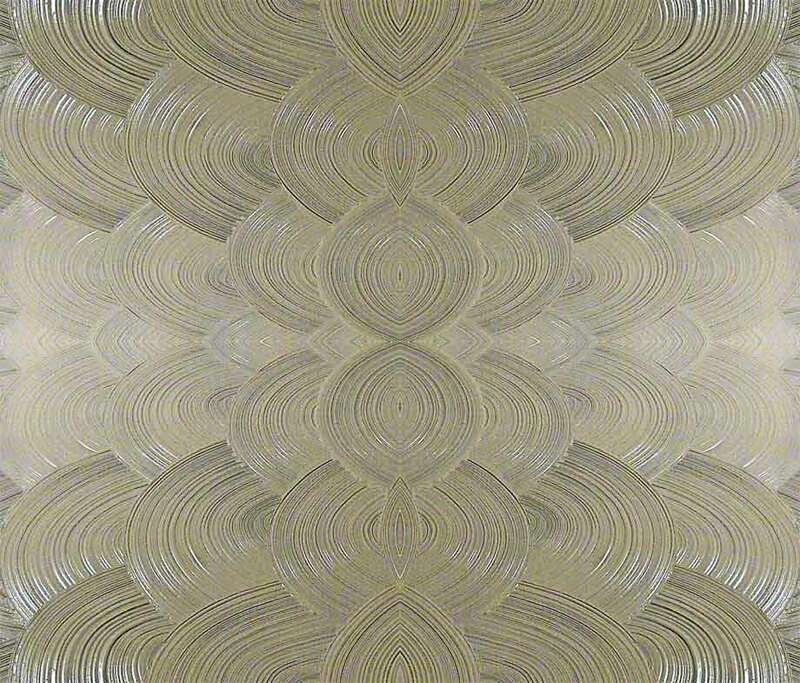 Wash the pan first  then the blades. 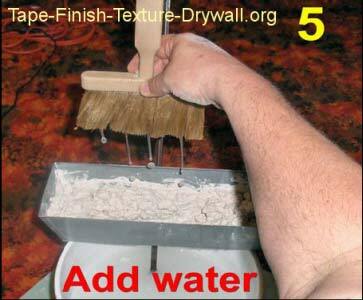 or dry on your equipment.